As a movie lover, I have a strange relationship with comedic films. I tend to love them and watch over and over or find them utterly unfunny and get upset that I wasted my time. The Truth About Lies is one of those rare middle ground films where I actually enjoyed most of it, but can’t see myself ever watching it again. There are a lot of genuinely funny moments but then shorty there after the dialogue swiftly turns. Our film’s protagonist Gilby (Fran Kranz) has one of the worst days of his life. He hits the trifecta, first he loses his job in retail due to an eerily familiar interaction with a customer (I had a retail flashback while watching) who asks for his manager. Second, his apartment (and only his) catches fire and he now finds himself homeless. So of course he can stay with his girlfriend right? Nope, that is the last kick in the crotch for the day. His girlfriend (Mary Elizabeth Ellis) decides that she was going to dump him tomorrow. Tomorrow even though she has a date planned for this very night. You will find out very quickly that most of the people in the film are indeed terrible human beings. Gilby lies his way into a job and then lies his way into becoming friends with his best friends sister Rachel (Odette Annabelle). Oh yeah, she is also married. That doesn’t stop Gilby from doing everything from yoga to a steam tent to get closer to her. A good portion of the comedy centers on their interactions. The thing is as bad as some of these characters are, they still felt familiar and relatable. For the most part with romantic comedies you are waiting for the characters to grow and become better people. With the short time-spans of the films, most times, for me, it feels cheap. Especially since most people I know don’t change their entire personalities in the span of two weeks. 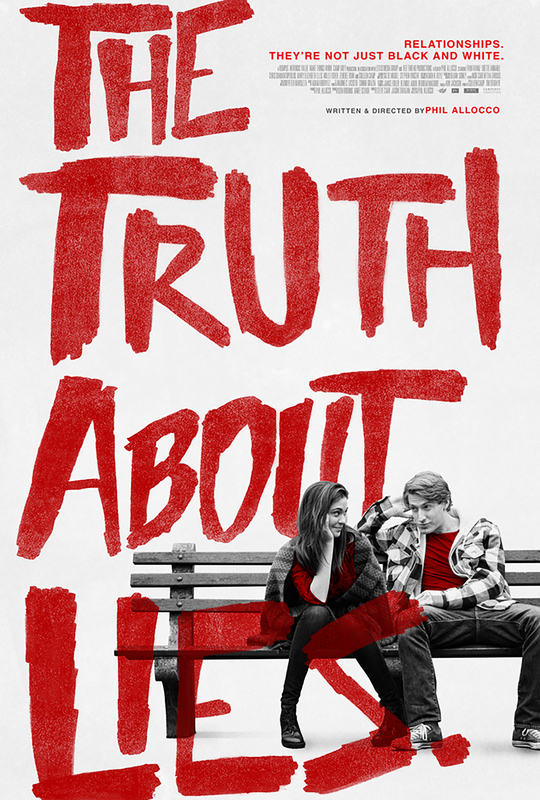 This is where The Truth About Lies veers away from their rom-com counterparts. The people in this film, for the most part, stay terrible people. If you are looking for a comedy for date night, this probably won’t be it. However, if you are looking for something that has some different laughs, don’t mind some awkward dialogue, and would like to feel better about yourself after having watched… this might just be for you. The acting was solid. Most of the characters felt like they fit their roles. Even the side characters like Brad, who in 10 years might turn into Milton from Office Space, or Andy the hippie who tends to hate everything and is always annoyed, had quite a few funny moments. The Truth About Lies isn’t what I expected but certainly gave me a few laughs. It’s certainly worth a rental and maybe a trip to the theater for movie fans that might want an unconventional love(?) story.